The EPT Barcelona festival is back for 2019, with local tour CEP hosting some prelims plus an EPT Open in Madrid. Although it's already a month into 2019, PokerStars has kept its planned live tournament schedule mostly under wraps. On Tuesday, the company released a big piece of that puzzle to the poker-playing public, revealing that European Poker Tour Barcelona will take place in its usual slot late in August into the early part of September. The festival has a listed start date of Aug. 20 in a tweet sent on Tuesday, with an end date of Sept. 1. However, the schedule listed on the PokerStars Live website does go through Sept. 2. 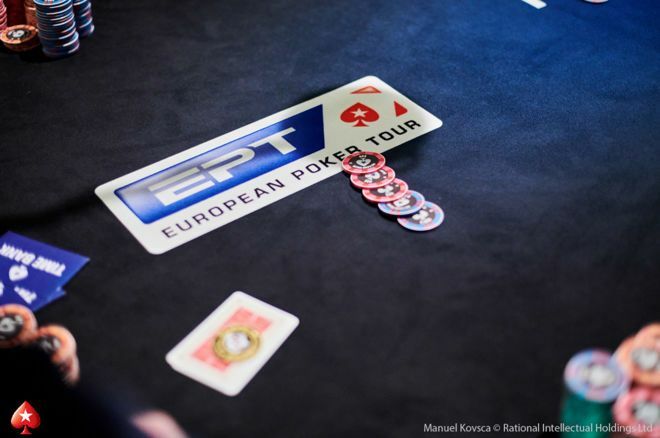 The ultra-popular EPT stop, which has been a staple on the tour all the way back to 2004, will bring back its usual €5,300 Main Event, along with the €1,100 EPT National that seems to smash attendance records every year. Additionally, the EPT festival itself will be preceded by prelims at Casino Barcelona under the Campeonato España de Poker banner. Spain's 2019 EPT festival will begin in Spain's capital city of Madrid, returning for the first time since the EPT Grand Final Madrid in 2011. EPT Open Madrid will kick off on June 22 at Casino Gran Madrid and run for nine days. The second event of its kind after last year's EPT Open Sochi, The Open format brings the same PokerStars-sponsored EPT experience at lower buy-ins, with the Main Event priced at €1,100. EPT Barcelona will be the third stop on the EPT schedule in 2019, after EPT Sochi in March and EPT Monte Carlo starting in late April. The Main Event is scheduled for Aug. 26 through Sept. 1. EPT Barcelona Main Event has produced four seven-figure first-place prizes since 2012, plus two more north of €900,000 — counting the 2017 rebranding as PokerStars Championship Barcelona. Last year, Piotr Nurzynski walked away with €1,037,109 after a heads-up deal with Haoxiang Wang. In addition to the Main Event, there will be several other marquee events on the schedule. The only one currently scheduled is the EPT National, from Aug. 21-25. The past few years, that tournament has drawn in excess of 4,000 runners, making it one of the biggest tournaments in Europe, one featuring first-place prizes north of €500,000. High rollers will surely have a few tournaments catering to the deep-pocketed as well. Last year, both a €100K and a €50K were held, along with a €25K Single-Day High Roller. Popular local tour Campeonato España de Poker (CEP) will host prelims at Casino Barcelona for the EPT in 2019. The CEP Barcelona will run from Aug. 12-20. It will feature a €500 Main Event and a €1,100 High Roller as the premier events on the schedule. The former is scheduled for Aug. 14-18, while the latter runs Aug. 19-20. In 2018, CEP regular Ramon Colillas accumulated points on the tour to earn a Platinum Pass to the PokerStars Players No-Limit Hold'em Championship, which he parlayed into a $5.1 million payday. As usual, players can also enjoy a slew of satellites and cash games at the bustling Casino Barcelona, which is set to play host once again to one of the top poker tournaments in the world under the EPT banner. “Spain has a vibrant poker community and we’re eager to continue to develop events, promotions and competitions that feed their poker passion,” said Eric Hollreiser, Director of Poker Marketing. “Ramon Colillas is inspiring a new generation of Spanish players who want to join the poker community and have opportunities to compete with him for potential big wins." For more details on the event as it draws closer, keep an eye on the PokerStars Live landing page. Note: This article was updated with additional information released by PokerStars on Jan. 30.